The demand within the global market for orthokeratology has been rising on account of key advancements in the field of ophthalmology over the past couple of decades. Orthokeratology is the use of contact lenses that are gas-permeable in order to reshape the cornea of the eye. This procedure helps in reducing refractive errors such as hyperopia, myopia, and astigmatism that could magnify into severe visionary problems. Orthokeratology has emerged as a viable replacement for refractive surgeries and spectacles, but the temporary nature of orthokeratology is projected to constrain demand within the market. The domain of ophthalmology has attracted significant investment from multiple sources which has given to the growth bar of the global market for orthokeratology. It is also expected that the demand within the global market for orthokeratology would rise due to the trust shown by the masses in the usage of contact lenses. Orthokeratology is also known as ortho-k, corneal refractive therapy, overnight vision correction, and CRT. The healthcare sector has been focusing on enhancing the fettle of the domain of ophthalmology which shall also reek of growth within the global market for orthokeratology. The global market for orthokeratology may be segmented on the basis of the following parameters: application, lens type, distribution channel, and region. The field of ophthalmology is characterised by multiple forces that define the scope of growth within the various markets aligned with this field. A report on the global market for orthokeratology runs through several factors and forces that have aided the growth of this market in recent times. 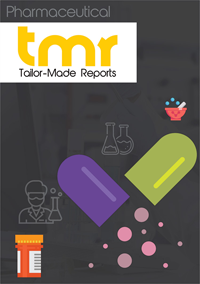 The report commences by defining the scope of growth within the global orthokeratology market, and advances towards making projections with regards to revenue generation and CAGR. Nearsighted, or myopia, can be caused due to multiple reasons in humans, and the use of orthokeratology can help in curing this disorder. Hence, the rising incidence of myopia is projected to propel demand within the global market for orthokeratology over the forthcoming years. Furthermore, the presence of skilled ophthalmologists has also led to the inflow of humongous revenues into the global market for orthokeratology. It is safe to project that the global market for orthokeratology would outrun all previous landmarks of growth in terms of volume of sales and revenues over the next decade. The availability of advanced lens types that can help in easy reshaping of the cornea has also propelled demand within the global market for orthokeratology. Furthermore, orthokeratology can be conducted without inflicting pain in the eye which has led to the popularity of this technique amongst the masses. The demand within the market for orthokeratology in North America has been rising on account of prolific growth within the ophthalmology domain across the US and Canada. Furthermore, the governments in the region have provided key reimbursements for eye-treatments which has also propelled market demand. Besides North America, the market for orthokeratology in Europe is also expanding at a robust rate, majorly due to the presence of the NHS in the UK. Other regional markets for orthokeratology such as the Middle East and Africa and Asia Pacific are also expected to keep growing in the years to come. Some of the key players in the global market for orthokeratology are Alpha Corporation, Autek China, Bausch and Lomb Inc., E & E Optics, Euclid Systems, and Essilor International S.A.